Revitalise the skin and senses with Yes To's Grapefruit Rejuvenating Body Wash; an invigorating formula that can be used to shake up your shower or bath time ritual. Infused with Grapefruit, rich in Vitamin C, the lightweight, citrus-scented wash whips up a luxurious lather to cleanse and condition skin from top to toe. The body is soft, smooth and energised. Step in the shower, lather in hands or sponge and wash all over. 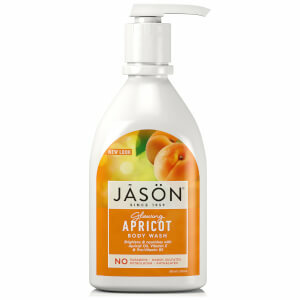 If you have some time, run this body wash under warm water and indulge in a bubble bath. Aqua, Sodium Coco-Sulfate, Cocamidopropyl Betaine, Citrus Grandis Peel Extract*, Pyrus Malus Fruit Extract, Glycerin, Sodium Chloride, Glycol Stearate, Citric Acid, Tetrasodium Glutamate Diacetate, Phenoxyethanol, Parfum, Limonene. *Certified Organic Ingredient.